We experienced the same problem and have developed a fuel surge tank with internal pump which buffers supply between the factory fuel tank and the engine. It is compatible with the factory fuel tank & fuel lines. It has not something we have considered for production but if there is interest, we will consider it. Where do you mount your surge tank? Any pics? I would like to retain my spare tire for road trips. The full blown one mounts anywhere you want it to. I have mine in the corner of the trunk. full blown is surge tank is the way to go if your rules allow! i fuel starved at 8/10's of a tank before installing a secondary fuel pump in the right side of the tank with one way valves on each before they combined and left the tank. now i can run most of the tank before running out. I had this problem and it was a faulty fuel presure regulator. Check your vacuum line that goes from the regulator to the intake manifold. Take off the vacuum line and sniff it if it smells like gas your fuel presure regulator should be replaced. It solved bogging, and the whole fuel starvation problem for me. 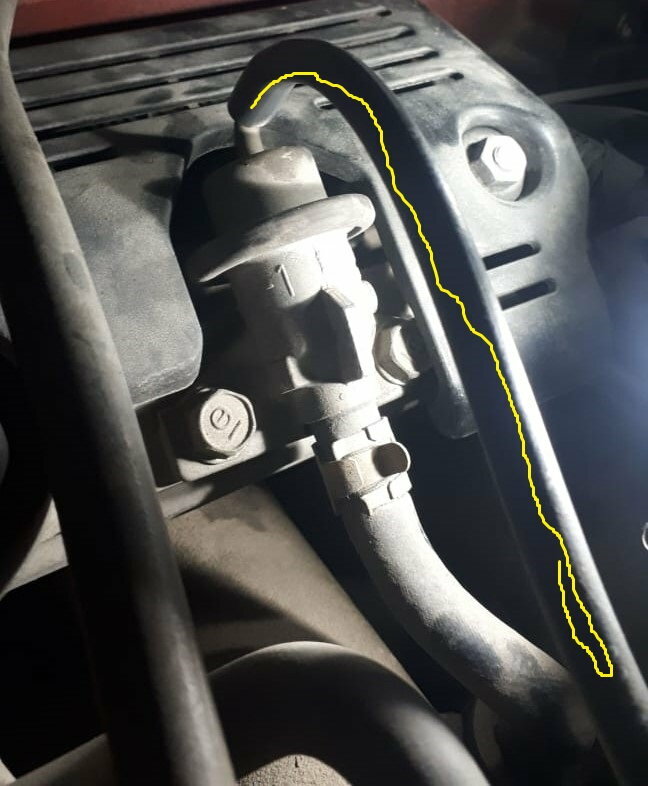 Very sorry to bump up this old thread, im also having this issue, that thin hose (with the yellow line in the picture) smells like fuel. is this the hose you mentioned which indicates a faulty fuel pressure regulator? My car gets the left turn fuel starving and hesitation occasionally. I hope youre still active on forums!